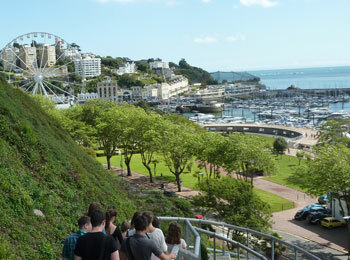 If you are considering an English language course and you would like to stay on the coast, in a fashionable seaside town, then Torquay is the ideal destination for you! Voted by TripAdvisor as the top UK seaside resort in 2014, it is really no surprise that more and more international students are choosing to study English with us in this enchanting town! Whether you are looking to improve your English for pleasure, or if you are thinking about further studies or a career in an English speaking environment, then you can find a language course to suit your needs and enjoy a beautiful holiday at the same time! 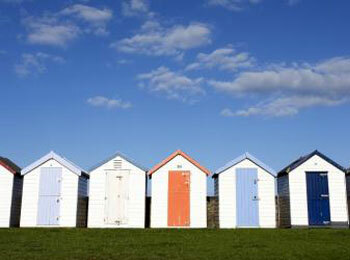 Torquay is located on the English Riviera, a 35 kilometre stretch of coastline in south Devon. The area offers sandy beaches, picturesque harbours, rocky coves and many other attractions and facilities to entertain students of all ages! The famous seven hills of Torquay provide the backdrop to a waterfront scene where you can learn English and enjoy a mild climate all year round! Our English language school in Torquay has been offering high quality language courses for over 40 years to students aged 16 to 60+ years old, from all over the world! The school building is situated just a couple of minutes’ walk from the centre of the town, with its own student residence just opposite, as well as beautiful gardens, volleyball court and barbeque area! There are 20 classrooms, a study room with computers, learning materials and free WiFi internet access, as well as a student cafeteria offering snacks, sandwiches and a place to relax with friends during lunch! 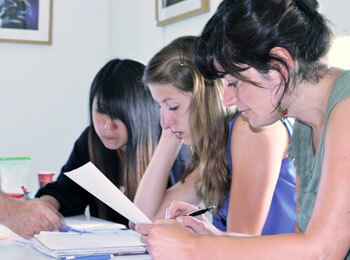 There is also a bookshop and a student common room with flatscreen TV and DVD facilities. In the school’s reception area students can take advantage of many different services, such as welfare advice and travel and accommodation support! The general English courses will help you to achieve confidence, accuracy and fluency in all areas of the language and you can choose to take 15, 18 or 21 classes each week, depending on the intensity of the course you are looking for. 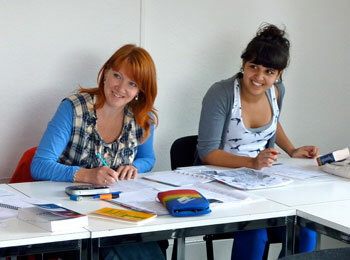 Students need to have at least an elementary level of English to attend the group courses. Each general English lesson at our school in Torquay lasts a full 60 minutes and there is a maximum of just 10 students per group, or a maximum of 12 during the summer months of July and August. The average number of students per class, however, is just 8, ensuring small sized groups and a lot of personal attention! The Semi-Intensive course includes 15 hours of general English per week, whereas the programmes of 18 and 21 hours per week incorporate an additional 3 or 6 afternoon sessions of guided study, in a wide range of language-related topics for students to choose from. Study skill sessions are offered, as well as tutorials every month for students attending longer duration courses! There is a Mini-group intensive course with a maximum of just 4 students per class and possible duration of 1 to 4 weeks. This course is suitable for improving your general English language skills and also for more mature students, for example, who wish to combine a language course in the mornings with free time in the afternoons. Alternatively there is also the option to combine this course with 5 additional private classes per week, in order to progress at a faster pace, or to cover any particular aspects of the language that you wish to focus on. Students who are interested in sitting one of the internationally recognised Cambridge Exams can choose the Exam Preparation course in Torquay for a duration of 5, 8 or 10 weeks. There are specific start dates for these courses and you will receive 23 classes per week, in groups of just 8 students maximum and an average of 4-6 students! The teachers have years of experience in teaching the special exam syllabus and they will provide all of the support and resources needed for you to pass the exam successfully! As in all of our schools, students who wish to book a course of Private English classes are also very welcome to do this at our school in Torquay! Host family accommodation is offered in Torquay as the ideal option to make the most out of your stay and your English course! You will have the opportunity to experience the English way of life and culture, as well as hopefully making life-long friends and practising your English outside of your classes. All of the host families are carefully selected by the Accommodations Officer at the school and monitored on a regular basis. They are all situated within walking distance of the school or just a very short journey by bus. There are executive host families available, with private bathroom facilities for students. If you would like to stay in the school’s small and cosy residence building, just opposite the school, then you will have your own bedroom and private bathroom, with a bath or shower. 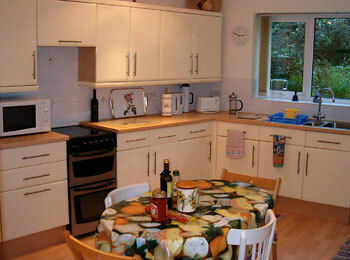 There is free wireless internet access in all of the rooms, coffee and tea making facilities and a TV/radio. The residence has a café, serving wonderful and very popular fresh salads and hot food, with its own sunny patio and private garden. A buffet-style breakfast is served each morning in the residence and there is also a small kitchen for preparing snacks, or light evening meals. There are also many pubs, cafes and restaurants just a few minutes’ walk from the residence where you can enjoy reasonably priced meals. The school has a special kind of optional social programme for students, which is not included in the cost of the course, but there are also 1 or 2 free activities in the programme each week for everyone to join. 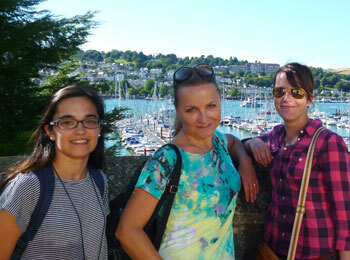 The free of charge events include a guided afternoon tour of Torquay on the first day of your course, Monday film nights, sports events such as volleyball tournaments, football and table-tennis and regular mystery sightseeing trips. 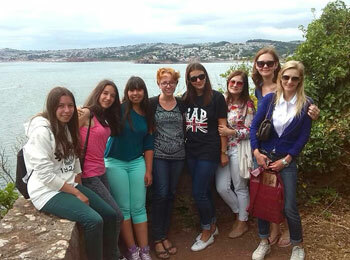 By joining the social programme on your arrival you will have the chance to take part in a huge variety of different activities and excursions offered every week, to socialise with other international students, to communicate as much as possible in English and to get to know and enjoy the town and its naturally beautiful surroundings. The programme often bears in mind the weather forecast and is designed to suit all ages and tastes. 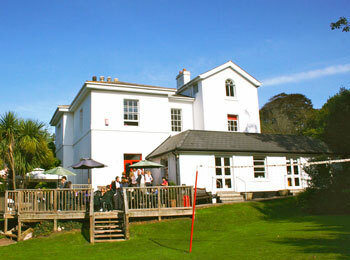 Examples of some activities include: trips to local picturesque ports nearby, such as Looe and Polperro, Jazz nights, visiting Dartmouth - a charming town on the river Dart, dinners in restaurants, a visit to the historic market town of Totnes, a visit to the Eden Project, Guitar nights, international food evenings and of course an excursion to Dartmoor National Park. There are also excursions to places of interest further afield such as to Cardiff, Bath, Exmoor, Plymouth and to the South Hams, to name just a few. The full details of the social programme will be available on the first day of your course. There are several options to arrive in Torquay. You can arrive by air, by train, by ferry and also by Eurostar. There are direct links to Torquay from Heathrow Airport via London Paddington train station and Bristol and Exeter are other easy airports to use. If you arrive into Gatwick Airport you can also get to Torquay by catching the Gatwick Express train to Paddington station and then a connecting train to Torquay. Please contact us for full details and advice with regards to the best travel options, depending on where you are coming from.